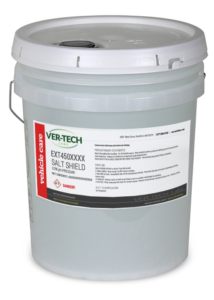 Clean better with Ver-tech Labs chemicals and foamers. Getting the right amount of chemical to the right place makes cleaning your vehicle a fast and effective process. Specks of tar on your vehicle from all the summer road construction? Clean it with MOV100 MOVE YOUR ASPHALT. Spring is here! Use Salt Shield to clean and protect all year round. Metal Safe high pH truck washing detergent with higher alkalinity than THU100 Thunderbolt. Metal safe alkaline cleaner, one of our top sellers. 95% of the dirty vehicles can be effectively cleaned by either THU100 Thunderbolt or HEL100 Hellcat. (December 2018) Welcome to the Ver-tech Labs online store where you can buy cleaning products for all types of car wash, truck wash, bus wash and fleet wash operations. This month we are adding additional sizes for all of our chemicals and chemicals that fall under the hazardous material shipping category.